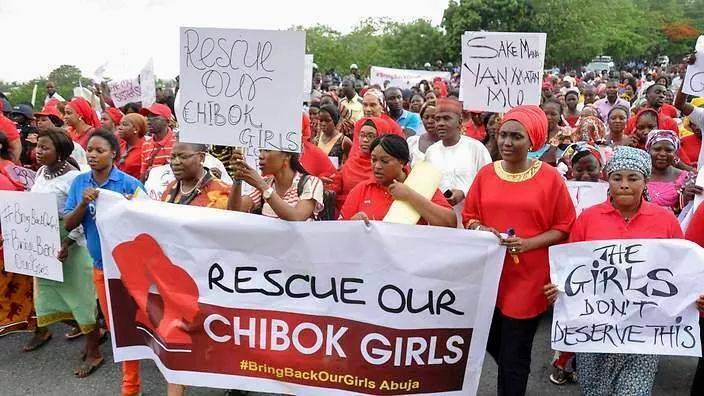 I am not going to cry because it was the hypocrites that march out to the streets to dramatise the kidnapping of these girls that aided and made this kidnap possible. I am not going to cry because people might not notice the difference between my genuine cry and their crocodile tears. Hypocrites! That’s what you all are. Because you refused to speak out in 1966-70 when easterners were being slaughtered like animals in the north because in your calculations it will help you to grab political power. And I cried! Because you looked the other way in 1980 when 2, 467 Christians were killed in Zaria because you thought it will benefit your religion. And I cried! Because you felt unconcerned in December 1980 when the Kano Maitatsine sect rioters slaughtered 4, 177 Christians. And I cried! Because you couldn’t speak out against the 1982 September. 29-oct 3 Kaduna riot that killed 53 people and burnt down churches. And I cried! Because you kept quiet over 1982 maitatsine sect riot in Maiduguri when 118 people were killed. And I cried! Because you didn’t speak out when a governor was stealing billions and cutting the hands of poor citizens who stole chicken just to score a cheap political point. And I cried! Because you clapped when Boko Haram came and were targeting Igbo, ijaw, churches and non-muslims. And I cried! That was why they came for the girls. because it will help you grab power. So, they didn’t expect you to speak when they started burning schools. Your silence embodied them and made them to come for the chibok girls. You see why i refuse to join you and cry? You are a hypocrite shedding crocodile tears. Besides, I have cried so much because I am Igbo and a Christian that there’s no longer tears in me left. I have witnessed so much of these atrocities against my people that my mind is now hardened. Besides, I don’t want to cry today and cry again tomorrow all over again and again and again and again over the same religious problems that I sincerely know couldn’t have been this worst if you had speak up against it long ago. Between you and me we know my cry will not change anything but, your sincerity will. That is why I am not going to cry over the Chibok girls. Even though my heart bleeds. This entry was posted in Adorable Babies, General Emotions for singles, dating, married, Divorced, Inspirational Quotes, Men, News, Politics, Relationships, Teens 14 - 19 years of age., Women and tagged Latest Nigerian Celbrity news, latest Nigerian news, Nigerian news, Why I Am Not Going To Cry- Chibok Girls.